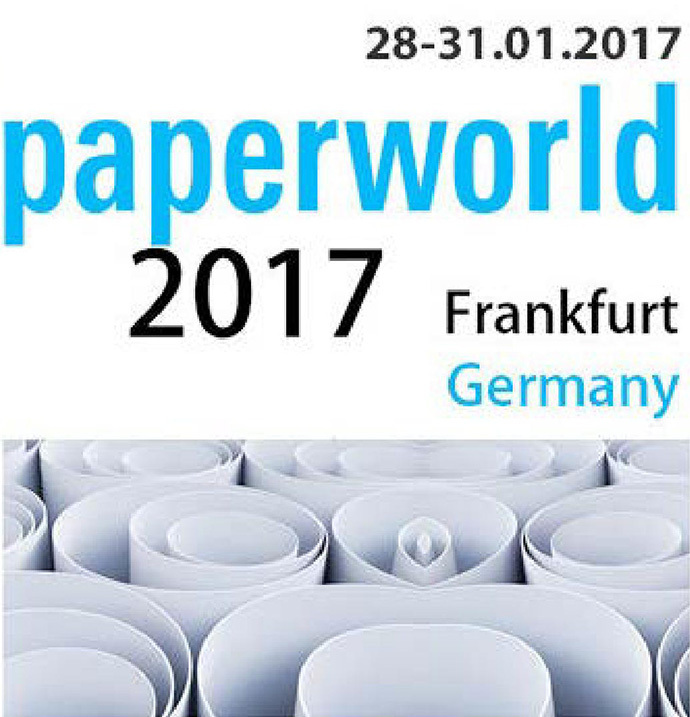 Paperworld is a famous international trade fair for paper, office supplies and stationery products. 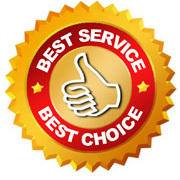 You can find all the industry's latest trends and product ideas there. We will attend this exhibition from Jan 28 to Jan 31,2017 and display automatic label cutter, creasing machines, binding machine, business card slitter, corner rounder and paper cutter at 1.2P71D. On Friday, Jan.13, 2017, we had a dinner party together to celebrate our Chinese New Year in Tian Shui Garden Restaurant. 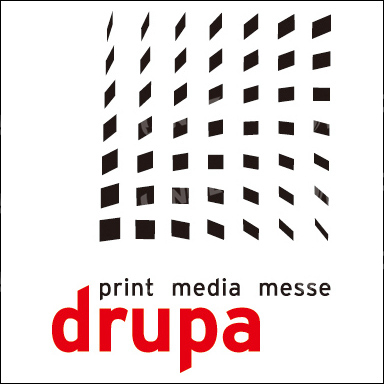 Print Drupa is one of the famous international printing fair in the world. There are more than 2000 exhibitors display their new products and technology. We are excited to participate Print Drupa 2016. 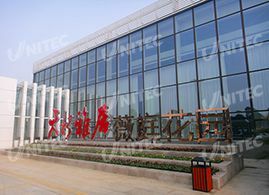 We will exhibit creasing machine, gluing machine, tab cutter and die cutter at 4A15-1 in hall 4. We welcome you and look forward to seeing you at our stand. 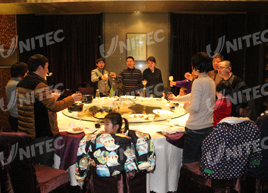 On the arrival of Chinese New Year,UNITEC invite all the staff with their family to Jiahe Centre to celebrate 2016 Chinese New Year. We had a dinner party with our family on Jan.16, 2015 to celebrate the Chinese New Year. Welcome the Year of the sheep! Happy New Year to everyone ! 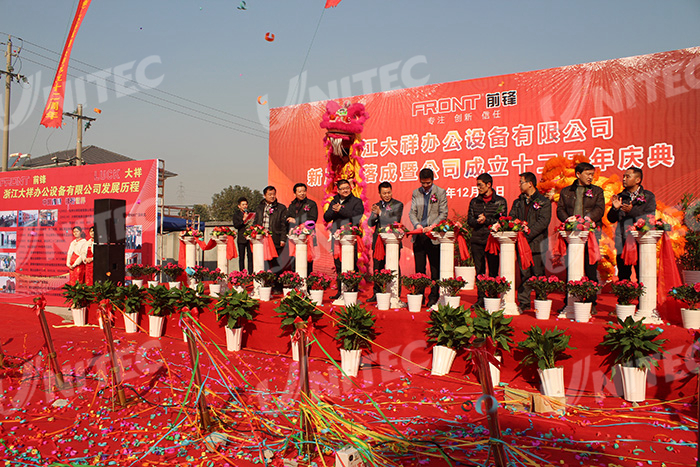 On Dec.23,2014, we are invited to attend 12th anniversary of ZHEJIANG DAXIANG OFFICE EQUIPMENT CO.,LTD. They moved to a new place and the new workshop is about 7500 square meter. 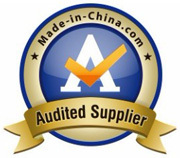 We believe the cooperation between us and DAXIANG will become better and better in the future. 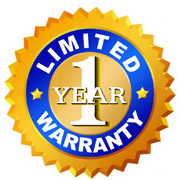 We wish DAXIANGv has a sucessful future! We were invited to attend Allen's wedding ceremony in the evening on Feb.26, we have worked together for 4 years. There were more than 300 guests attended this party, we are enjoyed it so much. Congratulations to the beautiful couple. Wishing you a wonderful journey as you build your new life together. 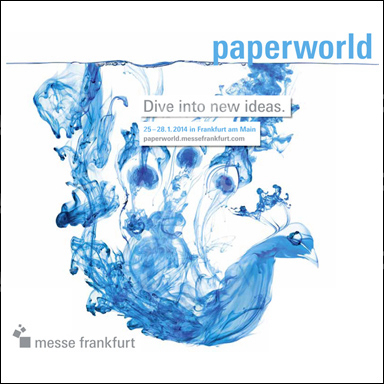 We exhibited at Paperworld Frankfurt Fair from Jan 25 to Jan 28 ,2014. We displayed creasing machine ,paper folder, electric stapler, single side laminator and paper cutter. We were glad to meet our customers and discussed further business together. Friday, January 31 marks the start of the Chinese New Year, the Year of the Horse. 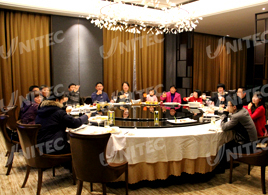 We had a dinner party to celebrate it with our family in Sheraton Jiangyin Hotel on Jan.16,2014. Print Drupa is one of the famous international printing fair in the world. There are more than 2000 exhibitors display their new products and technology. We are excited to participate Print Drupa 2012. 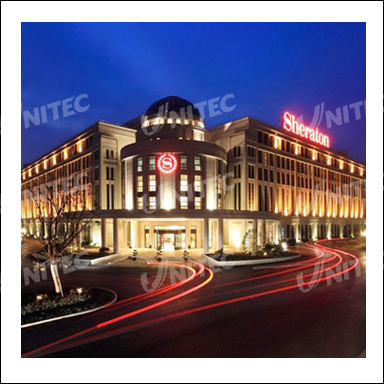 We will exhibit creasing machine, gluing machine, tab cutter and die cutter at 13A83 in hall 13. We welcome you and look forward to seeing you at our stand.